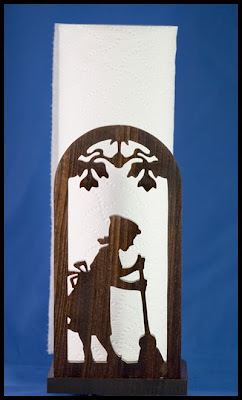 This paper towel holder will look nice on the kitchen counter. 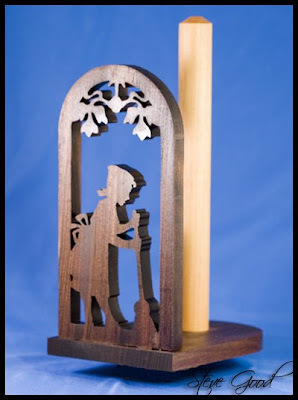 The base and frame are made from 1/2" walnut. Use a 1" wooden dowel rod to hold the towels. The blog reached the 1000 plus subscriber mark last week. When I started the Scrollsaw Workshop blog in May of last year I had no expectations of what would happen. We are approaching the 1 year anniversary of the blog. I want to thank all of you for supporting the site. I have had a blast talking with many of you and look forward to meeting even more of you in the future.